Jonathan William Santos, age 37 of Taunton, lost his courageous battle with cancer on August 14, 2018 in Bermuda. Jon was the beloved husband of Melanie (Chaves) Santos of 13 years and the adoring father to Breighton, Landyen, and Kennedy Santos. Jon had been fighting his battle with cancer for the past three years. He was a warrior and the anchor of his family. 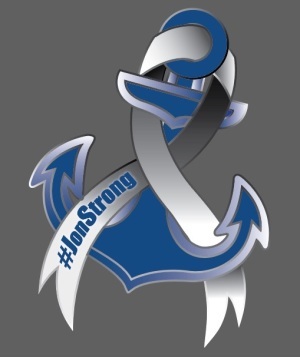 Jon fought with grace, strength, and determination. Jon was born in Taunton and is survived by his beloved parents William and Vonda (de Sousa) Santos. He is also survived by his loving father-in-law and mother-in-law, José and Maria Rosa Chaves of Taunton. Jonathan was employed with General Dynamics as a Materials Planner for the past 18 years. Jon’s pride in life was his family. He was devoted to being the best husband to Melanie and father to his three young children. Jon was truly loved by all who crossed his path. He had a smile and personality that could light up a room. His sarcastic sense of humor could make anyone laugh. Jon was so proud of Breighton’s accomplishments with dance and was her biggest admirer at her competitions. He was Landyen’s biggest fan at all of his sporting events and was always the first to volunteer to coach his son. He was a talented artist and passed this passion on to his children, especially his youngest daughter Kennedy who would often create masterpieces for her daddy. Jon was a proud supporter of all Boston sports teams. He enjoyed attending and watching games with friends and family. Jon loved being near the ocean. Jon’s final wish was to go on a cruise with his family to Bermuda, a place he deeply cherished. In addition to his wife, children, and parents, Jon is survived by his brother Robert and his wife Ana Santos. 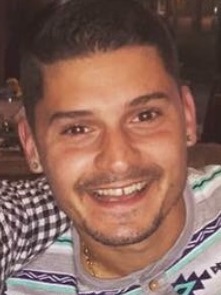 He was the beloved brother-in-law to Amy and Franco Gonsalves, Jason Chaves, and Megan and Ashan Fernando. He was the loving uncle to Briana, Zoey, and Naziyah Santos, Kaynel and Mckyen Gonsalves, Jaylah and Maddox Chaves, and Aacen and Axel Fernando. Jon is also survived by many aunts, uncles, cousins, extended family and an army of friends. Visiting hours will be held on Tuesday, August 21, 2018 from 4 to 8 pm at the Silva Funeral Home 80 Broadway (at Saint Mary’s Square) Taunton. Additional parking with handicap access is located on the north side of the Funeral Home. A Mass of Christian Burial will be celebrated on Wednesday, August 22nd at 10 am at Saint Nicholas of Myra Church Spring Street, North Dighton. Relatives and friends may meet directly at the church. Interment will follow in Saint Joseph Cemetery. In lieu of flowers, please consider a donation to the trust fund that has been set up for Jonathan’s children, Breighton, Landyen, and Kennedy. We truly appreciate your generosity. Donation checks can be made payable to Stifel FBO Santos Family and sent to, Stifel Nicholas, Attn: Keith Blades, 20 William Street, Suite 330 Wellesley, MA 02481, for questions, please contact: Keith Blades 781-239-2811. For expressions of sympathy, to sign an online guestbook, or to light a memorial candle, please visit www.silvafuneralhome.com.